Should you get married on 12/13/14? 12/13/14 will be the last number-sequential date on the calendar until 2034. 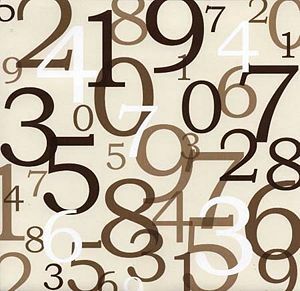 If you are a couple and numerology is important to you, read below what numerologist Siobhán Young has to say about this date and marriage. 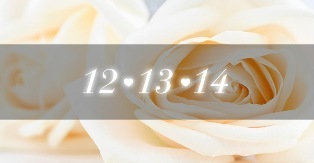 Thank you Jordin for this opportunity to look at 12/13/14 as a date for marriage! 12 13 2014 totals to the number 5 which is a good number for a relationship. Five is an almost balanced number between masculine and feminine which can be quite favourable. Be aware though, the strong feminine of five is not about being submissive in a demure sense, but strong in its caring and supportive nature. It is a good number for heterosexual weddings. 5 is a loyal number so that cheating or going behind the other person’s back is unlikely. Everything will be out in the open in a five relationship. Couples must remember that their challenge will be to stay fresh and adventurous, otherwise things could fall apart from boredom. Each individual’s personal numerology will also affect how their marriage will be if they are married on 12/13/14. Other numbers that arise from 12/13/14 are 3, 4 and 7. 3 is good for communication and happiness, but can negatively effect financial issues because of the tendency to over spend. 4 is good for reliability, but can be boring, playing with the 5 tendency of needing adventure. You will have to keep this marriage working. Date night is a must! 7 is an iffy number. While strong in self-knowledge, immune to gossip, the number 7 can negatively influence a person to be crude or verbally mean. Seven will also influence a person to have little care for money and budgeting and plays strongly into the 3’s desire to over spend. No marriage date is perfect! But if you have this information about your wedding date and your individual numerology, you can take action to support what is strong individually and in your relationship and be on guard for behaviour or attitudes that can negatively affect your relationship. Through this you can find continual grounds for individual fulfillment and a beautiful married relationship. Congratulations on your marriage on this most auspicious day! Choosing the Right Florist for You! Today I am extremely happy to post an article written by guest blogger Maya Savanovich from Sydney, Australia. Welcome Maya and thank you! Maya Savanovich from The Flower Man, Sydney, Australia. Maya has some really good tips for readers and I know you will find good advice in this article. 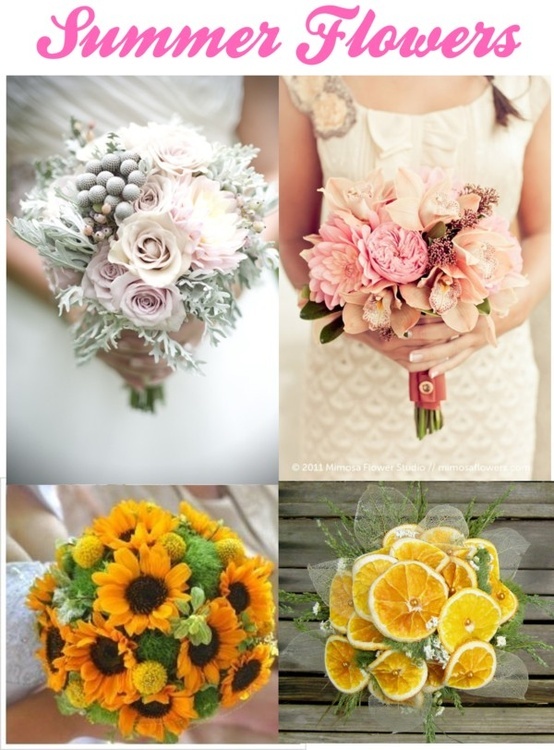 She even has great ideas about what style of bouquet goes with what style of wedding gown! And, you can follow Maya on Pinterest for other great wedding ideas and to see more of her beautiful collages. 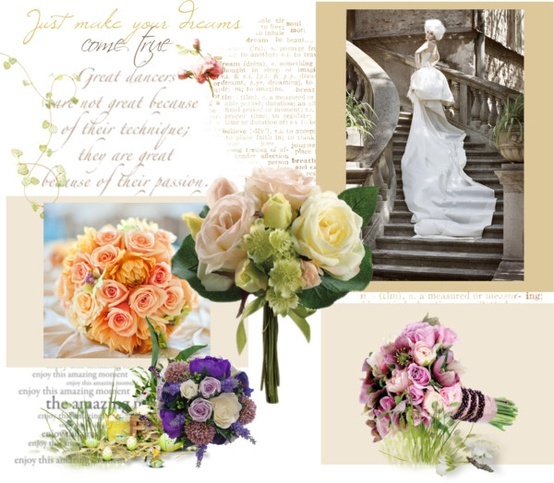 Flowers play a vital role in all wedding ceremonies and receptions. They help set a romantic ambiance and above all bring out the colors you have chosen for your wedding. Choosing the right florist can help alleviate stress leading up to your wedding. You need to book a florist between six and twelve months before the wedding date. Below is a list of everything you need to know before booking a florist for your wedding. First, decide on the amount of money you want to spend on flowers. While flowers are very important in a wedding, you need to be realistic. Make a decision of how much you will spend and above all make sure you stick to your budget no matter what. A good and experienced florist should be able to work within your budget. The size of your wedding party will determine what you order. Along with your bouquet and flowers for the ladies/flower girls in your wedding party, how many boutonnieres, corsages, table arrangements will be needed? All these should add up to the budget. If you don’t want to spend above your budget, then it’s advisable that you carefully reconsider the numbers. Choosing seasonal flowers will be much cheaper compared with choosing flowers that are out of season. Make sure you meet your florist at least two months before the wedding to secure all the details. She/he will let you know if all your flower choices are still available. 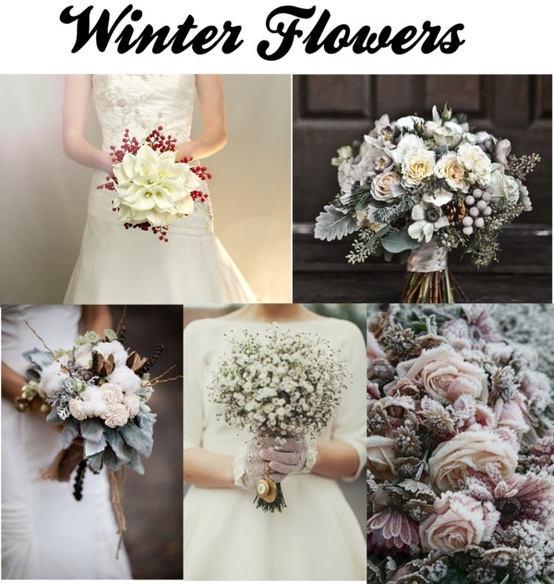 Flowers definitely make an impression so choosing the right flowers to match the style and theme of the wedding will leave everyone talking about how amazing the ceremony and reception looked. It’s very important that your wedding bouquet suits your lovely wedding dress. 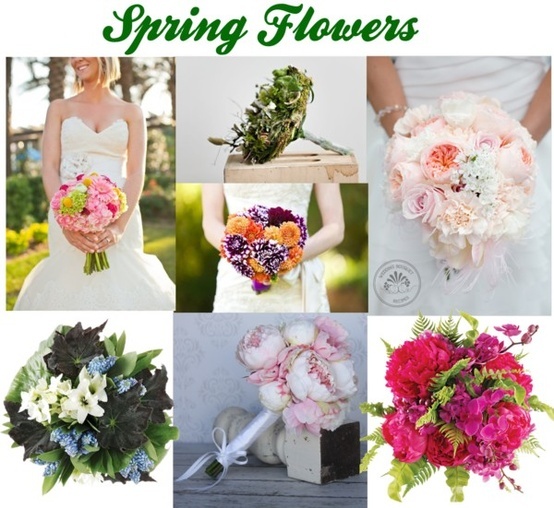 Beautiful bouquets with spring flowers. 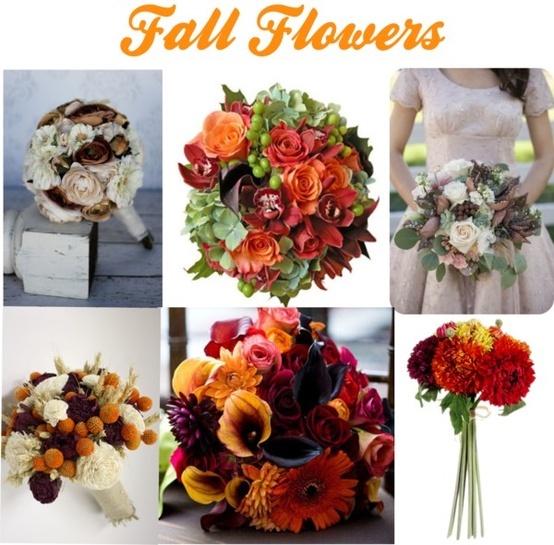 Bright bouquets for a fall wedding. You will find your perfect florist by doing some research and shopping around. A good florist needs to be creative and should give you great ideas that inspire you. The florist should also be flexible enough to work according to your budget. She/he should be honest, reliable and someone you can trust. This way you will be sure that your flowers arrive on time and that everything will be perfectly placed according to plan. The florist should have a portfolio of their work. Take your time and view their previous work. By doing this you may find something that you like or even get an idea of how creative the florist can be. You need to help the florist understand your style and exactly what you want. This can be done by creating a simple scrap book with photographs of your favorite fabric samples, flowers or even a picture of your bridesmaid outfits. The next thing you need to work on after you have selected your florist is your wedding bouquet. This is the number one and the most photographed accessory of a wedding. 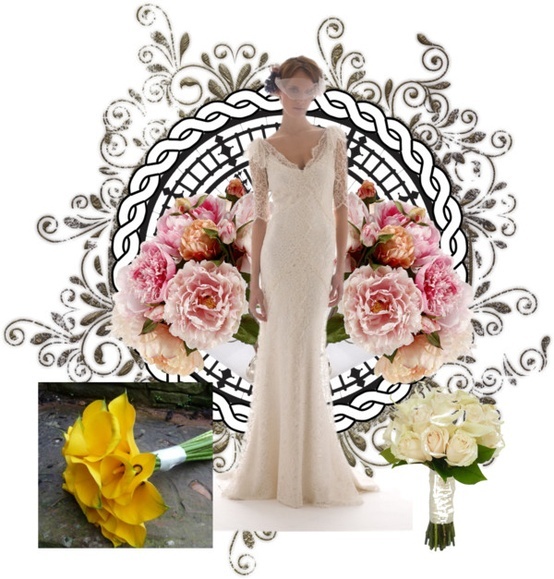 The style of your wedding dress is the greatest determiner of your bouquet choice. A shower bouquet should be used with a full skirted dress or a dress with a train. 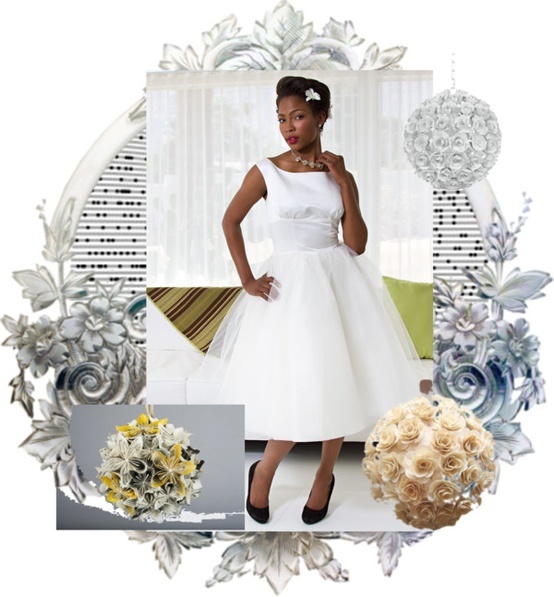 The trailing bouquet will be perfect if you wear an A-line, princess or ballerina skirt or a long and a flowing train. For a short skirt, chose a pomander bouquet. 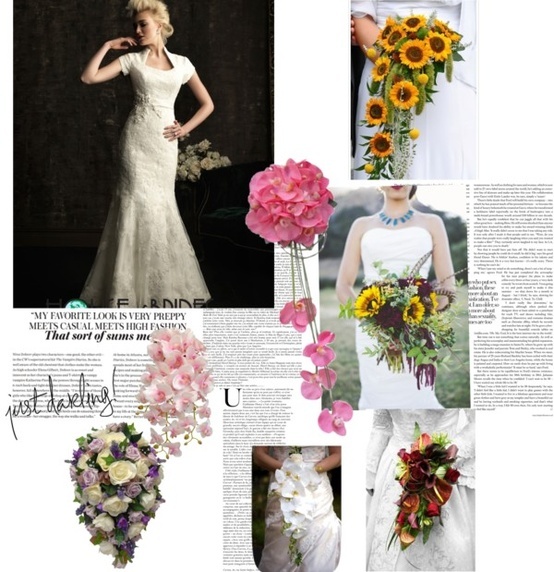 The hand-tied bouquet is ideal if you wear an understated modern look. An underarm bouquet is best for outfits with a lot of detailing, long or silky styles. Whatever your options are, make sure you work with a good florist. Talk to your florist two days before the wedding and confirm the order and delivery time. This will guarantee everything is in order and that you get amazing floral decorations for your wedding day! This week I am happy to have hair stylist Maria Delduca of Niagara Falls, Ontario as our guest blogger. She has some lovely styles to present that she did this past Canadian Thanksgiving Weekend. I know you’ll love these styles and all the others she has on her website www.mariadelduca.com. Welcome Maria! Happy Thanksgiving everyone! Despite the summer wedding rush being over, this weekend was probably one of my busiest weekends so far this year. 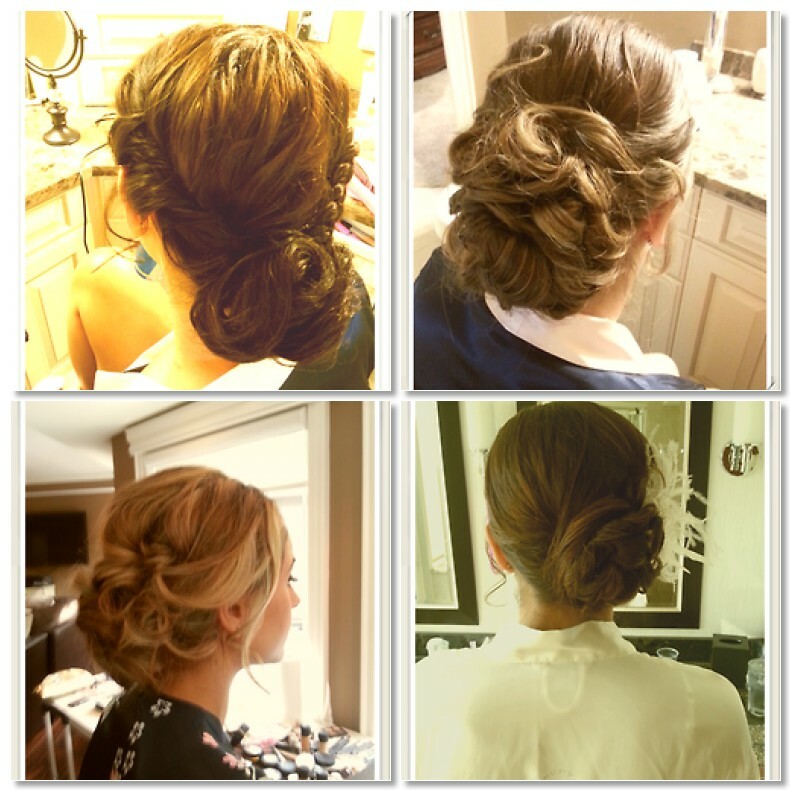 Below are four updos which I created for both brides and bridesmaids. The updos here are all classic styles with soft, romantic curls sculpted into low chignons (updos). In them, I have combined thermal setting (with the help of my lovely assistants), back-combing (teasing), french fishtail braids, inverted (visible) braids, and slightly curled pieces left out of the updos to frame the girls’ faces. These styles are perfect to wear for weddings, dinner parties, proms, bridal showers or any other special occasions. Tip: Before getting your hair done by myself or another hair stylist consider having an initial meeting where you come with something in mind, or better yet bring a photo or two of what you like so I can try to recreate the style that you love the most. I also recommend that you have your hair styled the way you want for your wedding at a session before your wedding day. This way your stylist can take notes and pictures so your hair is exactly the way you want it on your wedding day. I invite you to see my website for more style ideas for your wedding or other special ocassion.